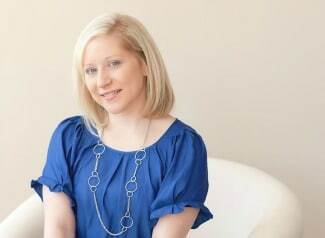 Years ago, you would often find me playing with my PLAY-DOH playsets creating something fun and unique. Fast-forward some 20 years later, and I’m still creating with PLAY-DOH playsets, only now with my son! It’s so much fun to share one of my favorite childhood toys with him. 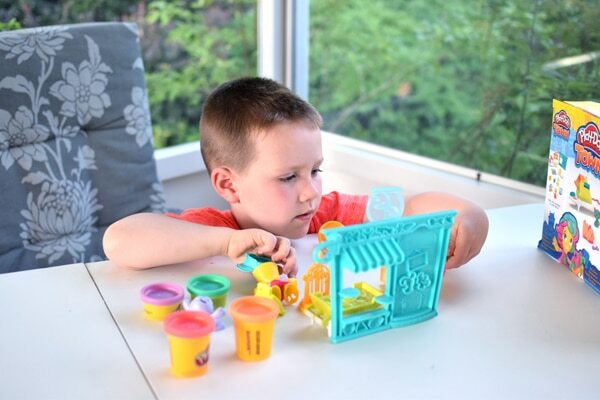 We recently has some Play-Doh Town Playset Fun and had an absolute blast! I just love watching him play and create! A childhood favorite since the 1950s, the PLAY-DOH brand continues to be a favorite among kids and families today. With the PLAY-DOH Town line of playsets, children will have a blast creating with the new colorful adventures of the firehouse, pet store, ice cream truck, and more! As a mom, I love watching my son create his own stories using his imagination with these fun new figures, characters, and town-themed playsets and vehicles. The PLAY-DOH Town Pet Store was super cute and colorful! The set includes a colorful store owner and adorable purple bunny. Kids can create bunny ears and pet friends for the shop, including fish, a hamster, and more. Kids can even decorate the pet store owner’s clothes and add some fun, crazy hair. This is a great set that’s perfect for a boy or girl! My son couldn’t wait to get his hands on the PLAY-DOH Town firehouse! This was his favorite playset and who could blame him – it was pretty awesome for a 5 year old! He loved the firefighter and the dog he lovingly named Sarah. He even gave me a play-by-play of what was going on at the firehouse! It was super adorable and so much fun to watch him in his own little world of play and imagination. The firehouse included a fire stamper to create colorful flames, which the kids can help battle with a hose or water cannon. The set also included molds for kids to make their own rescue essentials, such as a radio and alarm bell. You can even make a treat for the little pup and add fun hair to the firefighter. 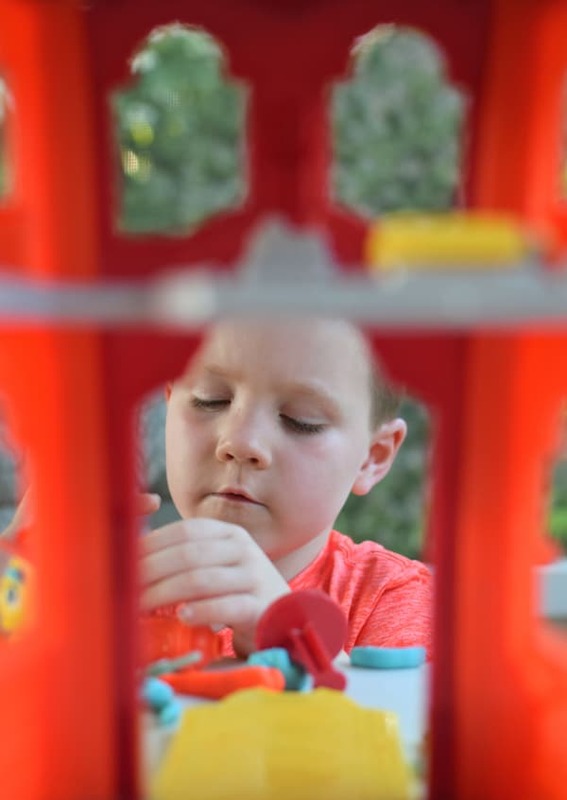 See Carter playing with the PLAY-DOH Town Firehouse in this short video below, where he gives you his play-by-play of what’s happening at his fire station! The PLAY-DOH Town line of playsets make the perfect gift. My son played for hours with the firehouse, the ice cream truck, and the pet store. If you’re looking for the perfect birthday gift, pick up a playset or join in on the fun on September 16, which is World PLAY-DOH Day. 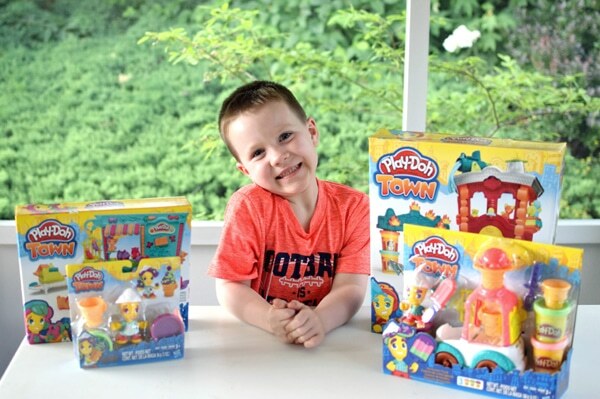 Pick up a playset or two and have some Play-Doh Town Playset Fun. The sculpting possibilities are endless and the quality time spent with your children is truly priceless! 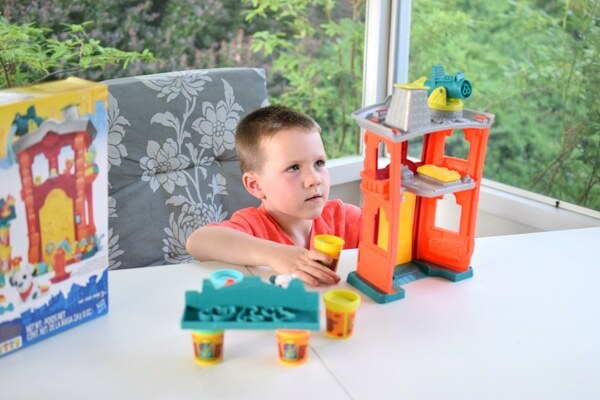 Which PLAY-DOH Town playset will your kids love? If you already have one of these playsets we would love to hear your thoughts. Start a conversation below! Happy sculpting!